Many scholars have imagined the Tarot trumps to chronicle The Fool’s movement of psychospiritual initiation through the essential twenty-one “doors” of personality development and transformation that comprises the Major Arcana. The Fool, alone of no real number, the great unmanifest zero, is thought to embody everyman (woman, and child) in all his or her innocence, potentiality, and absence of fear. The Fool is the blank slate of infinite possibility (or as Rupert Sheldrake suggests, the ready and waiting fully-loaded automatic camera) who now is possessed to make his way through the rigors of experience and the phenomenal world. Each numbered key (or trump) opens for The Fool one essential door on a sequential procession through psycho-spiritual initiation, growth, maturity, and integration. As one step is trodden and assimilated, a natural progression is made ready for the incorporation of each next developmental step of the great journey. In a psychologically reflective age, perhaps one journey-maker discovers within this first door her own karmic pattern of victimization and is subsequently given to consider The Magician’s unique talents for self-creation and responsibility vi-a-vis existential choice. Another traveler is taught to visualize desired outcomes or perhaps the imaging of charms through The Magician’s slender invoking wand. Thus through countless cycles on the mythic journey, The Fool (our ‘Everyman’) will repeat this and every other challenge on the archetypal circuit until the time when, serendipitously, each lesson has become sufficiently absorbed and integrated. This is the divine myth of the rationalist. Developmental progress is then tracked through The Fool’s forward movement progressively and numerically, one door at a time– from door “number 2” to door “number 20”– up until the final door of the grand progression is entered, that being, of course, The World card (Trump 21), representing the quaternity of wholeness aroused by transcendent celebration (“the dance of life”) and sublime realization. The journey presumably ends there, where in principle, the final state is now fully opened, apprehended, realized, and complete. Yet despite this final attainment on The Fool’s Journey, the primacy of importance is still accorded to the earliest trumps of the procession, the archetypal Mothers and Fathers, the Magicians, Priests and Priestesses of the primary trumps–the so-called ‘root’ cards– if only by their initiatory agency as first causes. The World card, for instance, as number 21, reduces numerologically downward (2+1) to its earliest value, The Empress, Trump 3. Judgment (Trump 20) reduces to The Priestess (2+ 0] or Trump 2, and The Majestic Sun (Trump 19) reducing first to The Wheel Of Fortune –Trump 10 (1+9= 10)– but then even more profoundly to its primary root in The Magician or Trump 1 (10=1+0=1). In a manner of speaking, one must first achieve “root card success” much as the waning Freudian implores “Oedipal success” (or the Post-Freudian demands “object constancy”) before The Fool is sufficiently prepared to take on the greater demands of psychological maturity. Number symbolism thus becomes crucial to the linear unfoldment of the process, as development conceptualized through a ‘past, present, and future’ now adds a progressive arithmetical dimension to Tarot’s numerology. The Fool’s Journey is predestined from the beginning, out of which a hierarchy of sorts is predetermined. For example, Trump 3 –The Empress is seen as “higher” (or at least, likely to occur “later”) on the evolutionary spiral than Trump 2– The Priestess. But by what guiding principle exactly? 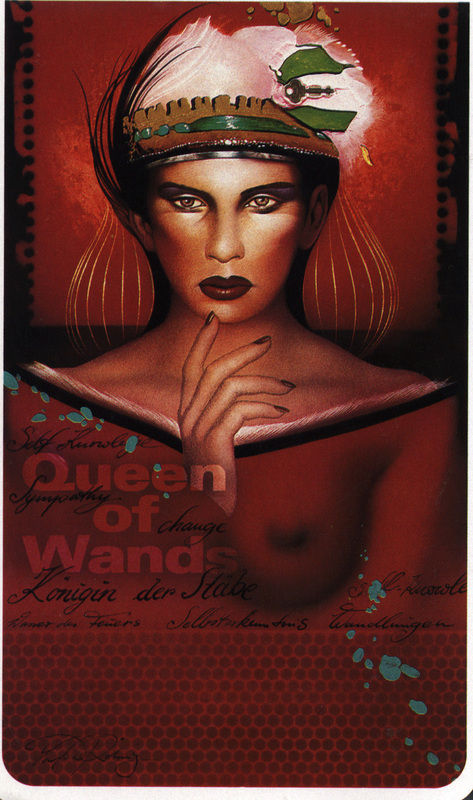 In all cases, does the insight and penetration of The Priestess always precede the nurturance and love of The Empress? Some tarotists have ventured into thicker linear woods still. Addition and subtraction become attractive operations once the symbolic magic of numbers reaches our calculating minds. Through a simple arithmetic operation, Trump 2 may then be added to Trump 3 to create Trump 5, the priestly Hierophant. Elaborate metaphysical formulae and kabbalistic rationales are then applied to justify such calculations. I believe, however, that such seductive meanderings will soon lead The Fool to his early retirement. Numerological entities have become “trumped up” to take on additional mathematical properties, in effect, mixing in one steaming cauldron both number quality and quantity. Add a Priestess to an Empress and voila! Out comes a Pope. But does this truly make good sense? The linear formulation of The Fool’s Journey through progressive doors of growth and initiation is similar to contemporary Western theories of personality development; ironically, both are formulated within scientific (mechanistic) constructions of causation and evolution that were popular at the turn of the last century when much of the groundwork for psychology was laid. The view assumes a linear path of change and growth. Even when framed within esoteric doctrine, Tarot paradigms have often carried structural presuppositions parallel to mainstream cultural and scientific perspectives. Linear time, an essential feature of this worldview, is in fact a metaphysical assumption all its own. No matter how matter-of-fact it appears to us today, linear time assumes that change flows like a line, independently of the events it supposedly contains. 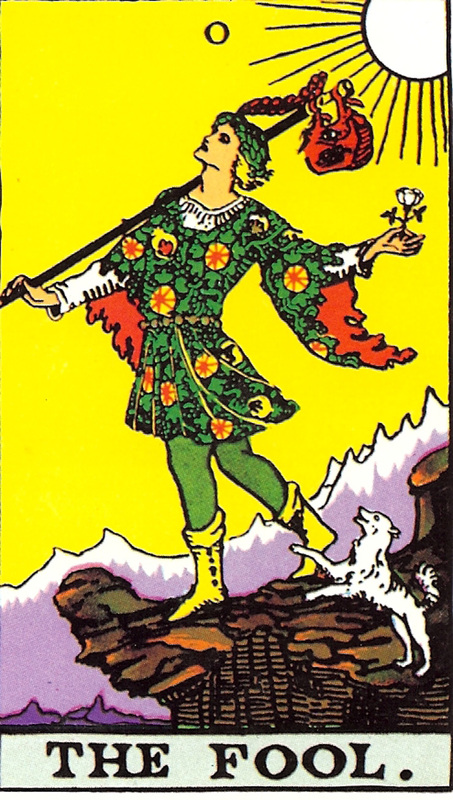 It assumes The Fool passes through the successive doors of the Major Arcana with a predetermined script, following a developmental yellow brick road of sorts, independent of his own subjective inclinations to veer off onto various sidestreets or poppyfields. But as we know, for all the hoopla surrounding his eminence, the great Oz of Emerald City was something of an embarrassment. Often this so-called journey through the Majors is further sub-divided into three parallel lines of seven trumps, corresponding to the 3-fold Hegelian dialectic of change (thesis/antithesis/synthesis), the laws of becoming, or psychological process. Such sub-groupings give the Fool’s itinerary a new set of hierarchies. Depending on the theorist, the first row of seven may signify the stages attending the development of consciousness [Magician (1) through Chariot (7)], the second those attending the features of the unconscious [Strength (8) through Temperance (14)], and the third, those attending the collective unconscious or transpersonal realms [Devil (15) through World (21)]. Presumably, this procession through grade levels of psychospiritual education guides the soul’s initiation into higher consciousness. 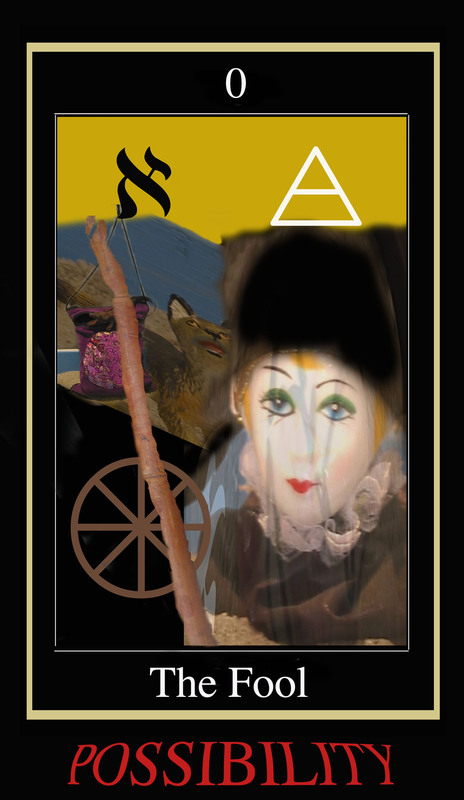 Still other Tarot commentators have suggested splitting the Major Arcana into two parts, separated at the midpoint of The Wheel of Fortune and Justice. In this division by halves, The Fool’s Journey is marked off by central oppositional cycles in the lifespan, such as the ascent/descent of spirit and matter, the first half/second half of life, the structuring and deconstructing of reality, or even the personal/transpersonal stages of individuation. However, implicit in each of these models remains the presupposition of linear development and change, one which I believe ultimately places unnecessary limitations on experience and possibility. In search of his divine innocence, The Fool must remain free of all calculation, operating, instead, “like a complete fool,” one might say. 1 O‘Neill, Robert V., Tarot Symbolism; Fairway Press, Lima Ohio, 1986. 2 Slife, Brent, Time And Psychological Explanation ; SUNY Press, New York, 1993. 4 Roberts, Richard, and Campbell, Joseph, Tarot Revelations; Vernal Equinox Press, San Anselmo, CA, 1982, pp. 59-80. 5 O‘Neill, Robert V., Tarot Symbolism; Fairway Press, Lima Ohio, 1986, p. 298. 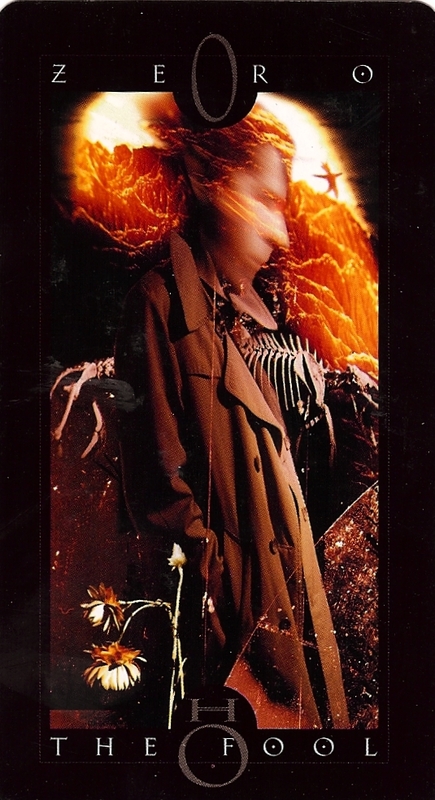 6 DuQuette, Lon Milo, The Tarot Of Ceremonial Magick, Samuel Weiser Inc., 1995.
like scuffed stones off the boot. My moccassins touch black sand. and can see a red temple in the mist. I shiver for hickory tea. O Goddess, let me come. Introduction: The classic 1927 metaphysical study by J.W. Dunne: An Experiment with Time that stimulated my particular interest in X4: Overview: [By Callen Shutter] Inspired by vivid dreams he was having that seemed to precipitate waking events such as volcanoes and fishing adventures, J.W. Dunne decided to conduct an experiment where he (and eventually others) logged their dreams for a period of time and tracked the content of these dreams. Subjects would then reread their logs within a week or so and note whether the events that occurred in their dreams were in the past, had happened in the short time since the dream, or had never happened. Often, subjects would find a mixing of past, present, and future events in a single scene. The connection of waking events to dreamthe heart of Dunne’s experiment with time. Readings should occur twice a week for 3 weeks (with a minimum of two nights intervening between readings). Be sure to shuffle 10x plus, & record name/number by position. (Use of specific questions, decks, and/or reversals are by your preference). Now we tie this stuff together for it’s meaning and relevance to WHAT’S REALLY GOING ON–See Files for Suggested Synthesis Technique. 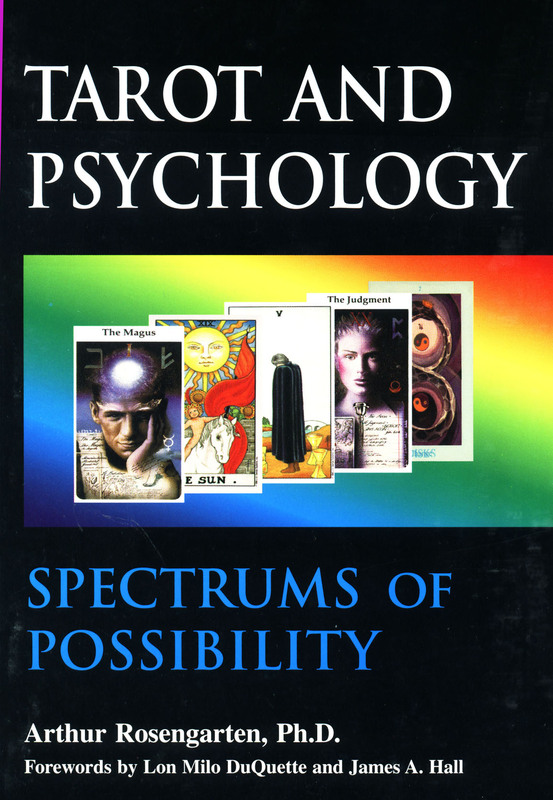 SEE TAROTPSYCH Archives (MAY, 2008), or send your dreams now. As we found in our experiment, dreams are truly phenomenal.